For those who are LDS this picture will be somewhat familiar. 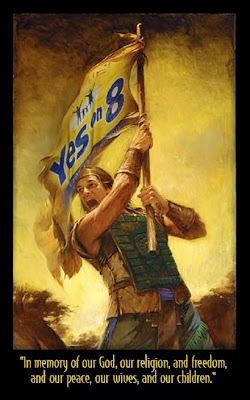 Someone sent me this picture of Captain Moroni and his Title of Liberty with a current day twist. Whether you believe in the Book of Mormon or not...these words are fitting. 11 And now it came to pass that when Moroni, who was the chief commander of the armies of theNephites, had heard of these dissensions, he was angry with Amalickiah.